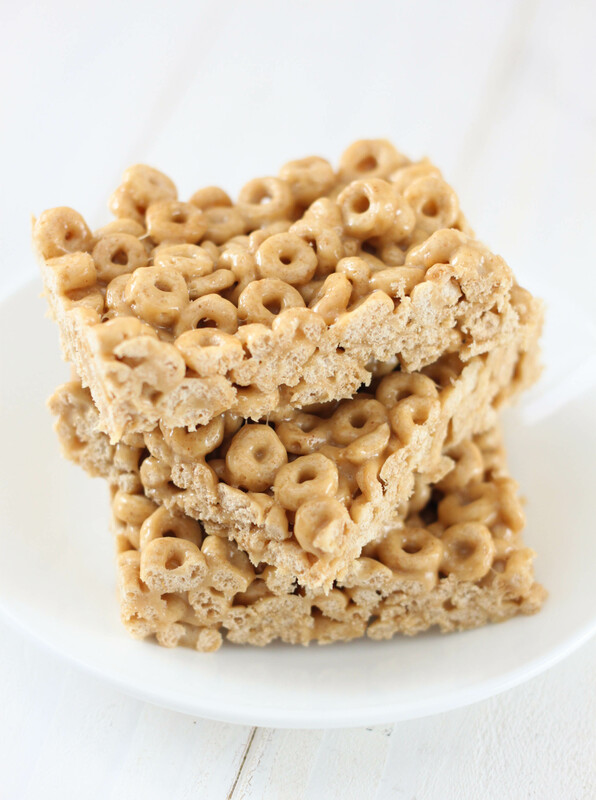 These No-Bake Peanut Butter Cheerio Bars are an easy cereal treat that both kids and adults will love! Move over rice krispie treats! There’s a new cereal bar in town! Don’t get me wrong we love rice krispie treats but it is fun to have another no bake bar recipe to toss in the mix. 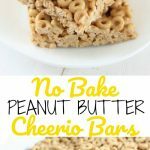 Plus these have Cheerios and peanut butter so they are totally a breakfast food in my book! 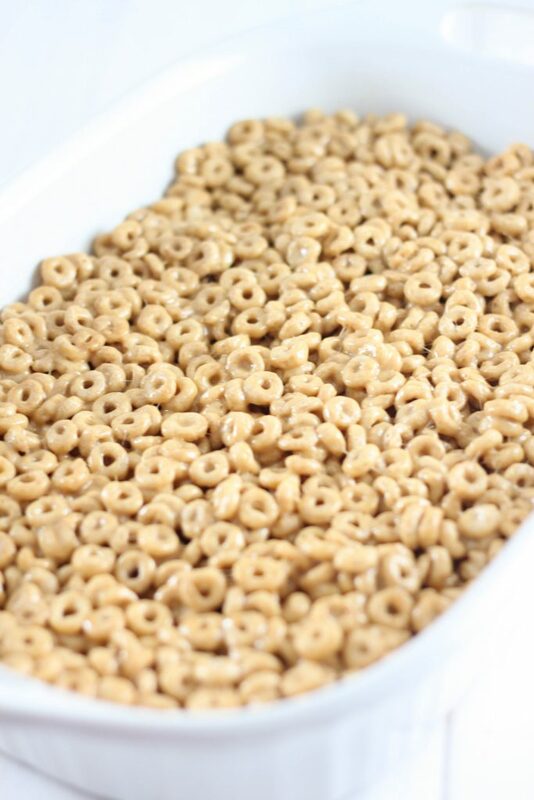 These Cheerio Bars are so easy to make and wont be around for long. They are the perfect recipe to make with the kids and can help measure the ingredients, just be sure to watch them when they are melting the ingredients on the stove. I used the regular Cheerios but you could also use the multi grain or the honey nut. You could easily add some small candies, like m&m’s (about 1 cup) to these bars for a little something extra special. Add the candy when you add the cheerios. You could also drizzle melted chocolate or white chocolate to make them look fancy! I left them plain because our oldest child doesn’t like chocolate. A 16. ounce bag of small marshmallows is about 6 cups. I like to use room temperature butter to grease my pans when making these kinds of bars. I also put a little of the butter on my fingers and hands and then use my fingers to press the ingredients into the pan. In a large pot melt the butter and marshmallows, stirring occasionally, until blended. Add the peanut butter and mix. Place mixture in a greased 9x13 inch pan.